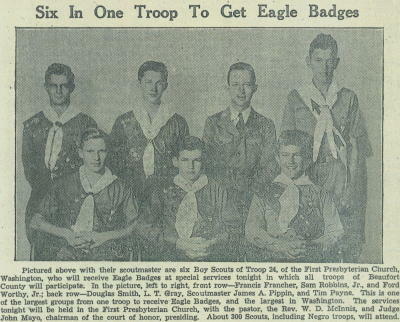 In February 1937, Scout Executive John J. Sigwald and council president F.C. Harding from Greenville attended the annual Region Six meeting in Columbia, South Carolina. At this meeting a session on the Order of the Arrow was taught by E. Urner Goodman, then national director of program. Following the meeting the council men discussed advantages and possibilities of forming a local lodge. Sigwald was a program man. 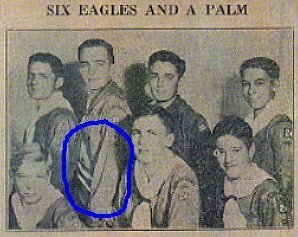 A professional since 1926, he earned Eagle Scout as an adult in 1933 in Alabama and participated in the first Wood Badge course held in the United States in 1936. At the first national jamboree he was known to all as "The Voice," announcing all events. Under Sig's leadership, the council was progressive in areas including increasing opportunities for rural and minority youth. The forthcoming summer he was planning to send three full troops to the first national jamboree. A lodge at camp would create additional opportunities for the council and help retain youth. Establishing a lodge took over a year due to the needed approval from the council board. And the more pressing need of filling a vacancy for an assistant field executive. 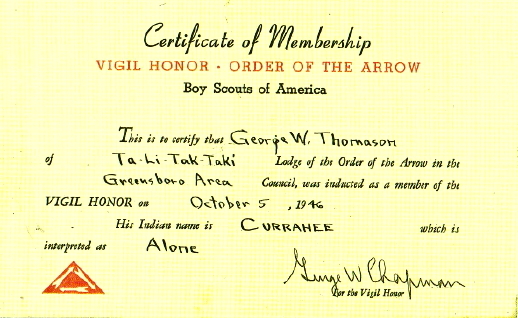 George Thomason, originally from Toccoa, Georgia,entered professional service with the Boy Scouts in Greenville in 1937. 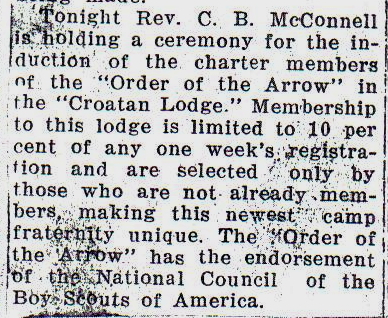 Soon after his start, one of his first assignments was to form an Order of the Arrow Lodge. Thomason, an Eagle Scout, with eight years of experience as a camp counselor, would serve as the assistant camp director at Camp Charles the following summer. The task was perfect. At this time in the state, there were only two other lodges established. Occoneechee #104, formed in 1937, served the Raleigh area. The Greensboro Council chartered Tali Taktaki #70 in 1933. This lodge was strong and eager to help establish other lodges throughout the state and the South. Thomason took his ordeal in late 1937 at Camp Graystone in Greensboro. Scouters from the Winston-Salem area were also inducted. 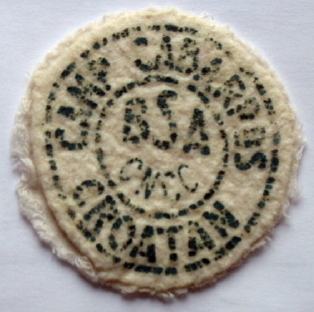 The following spring at a state area meeting, the council applied for a charter. Papers were signed June 8th, 1938 and the lodge was designated with the number 117, signifying the sequence in which lodges were created throughout the nation. The Winston-Salem Council received a charter the following day and was assigned number 118. Unbeknown to most, the lodge totem originally was chosen as the Virginia Dare Oak. However, it is unclear if the totem was ever used or represented in ceremony. After the second world war the totem became the deer. The deer was prevalent in Eastern North Carolina and an important staple to the Indians of the area. The lodge name Croatan was probably chosen because of the local heritage and msytery of the famous "Lost Colony" in nearby Manteo. Dating back to 1587, Colony Governor John White was required to return to England for needed supplies. He instructed the leaders of Fort Raleigh that should it be necessary to leave the area, carve the name of the place on the fort's palisade. Returning from overseas three years later, White found that the colonists had disappeared. The only trace was the word "Croatoan." The fate of the colonists were never discovered. However, there has been speculation that the colonist journeyed to Croatan Island. The word Croatan in the Algonkian Indian language is interpretted as dark yellow. Nestled in the woods in nearby Bailey, Camp Charles was first established as a camp for the Wilson County Council in 1929. 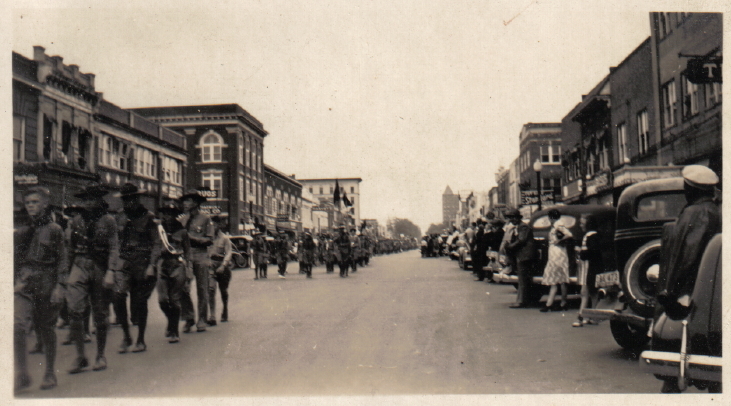 In 1932, several small councils including the Tar Heel Area (Rocky Mount), Neuse (Kinston and New Bern), Pamtico (Greenville, Washington, and Williamston) merged to consolidate resources. The council was changed to East Carolina and served the eastern portion of the state, covering twenty counties. 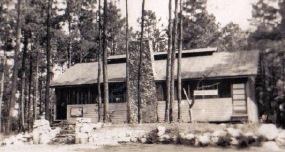 The 1938 summer camp staff consisted of veterans. This was another reason creating a new program at camp would urther retain youth to serve Scouting. 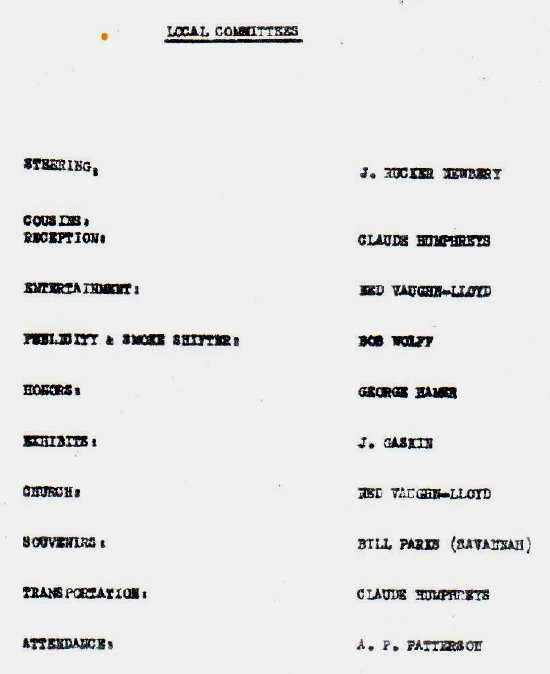 Beyond Sigwald, Thomason, and McConnell, other charter members included J.Q. Patrick from Grifton, Horace Ray from Williamston, Lloyd Bryan from Wilson, Vernon Sechriest and Bill Draper both from Rocky Mount. responsible for "O. of A." 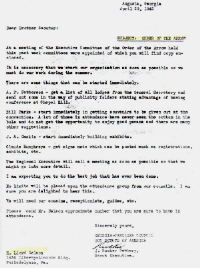 Horace Ray, referred to as "X-Ray," wrote in the camp newsletter Camp Chips, "The Order of the Arrow, the only fraternity recognized by the national office has just been established at Camp Charles." 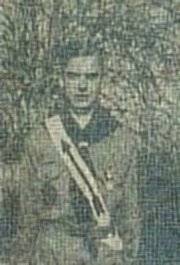 Reverend Charles B. McConnell, a Scoutmaster from Nashville, was in charge of the Order of the Arrow ceremonies in 1938. Based on memory from interviewed staff members, approximately ten candidates were tapped out at the first Thursday night campfire and taken into the wilds. Their ordeal continued through Friday afternoon with formal induction prior to the campwide Friday night campfire. Final recognition was given publicly in front of all campers later that night with a gathering afterwards. McConnell was a Southern Baptist minister and a graduate of Wake Forest College. He completed his religious study at Union Theological Seminary in New York City. 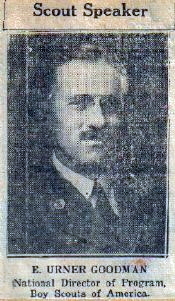 He remained in Nashville until 1942 when he enlisted in the U.S. Army as a chaplain in the European Theater. He retired from the clergy in 1968 and passed away in Florida the following year. 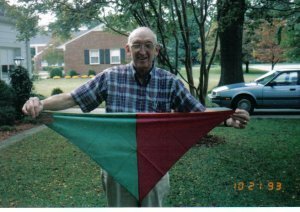 During an interview in March of 1988, in preparation for the lodge 50th anniversary, George Thomason gave the lodge a neckerchief allegedly given to him by E. Urner Goodman. There is speculation that Goodman attended one of the early lodge ceremonies. 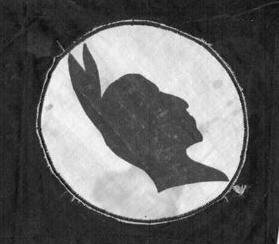 The neckerchief black with a white border and has a sihouette of an Indian profile. Perhaps this as a sample of a lodge totem to give Thomason ideas for the new lodge? The actual significance of the item is unclear. 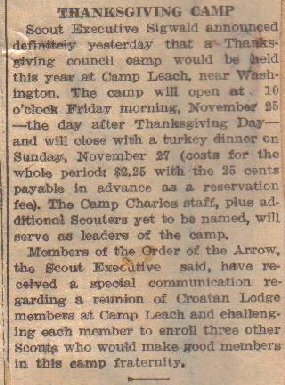 In October of 1938 at the second Carolina Jubilee, a statewide camporee held in Chapel Hill, a special meeting was held for lodges already formed in the state. At this time, North Carolina lodges were designated in Area 8. 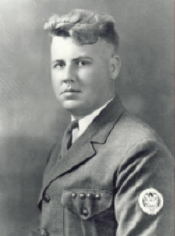 Scout Executive J. Rucker Newberry of Augusta, Georgia served as the area leader. 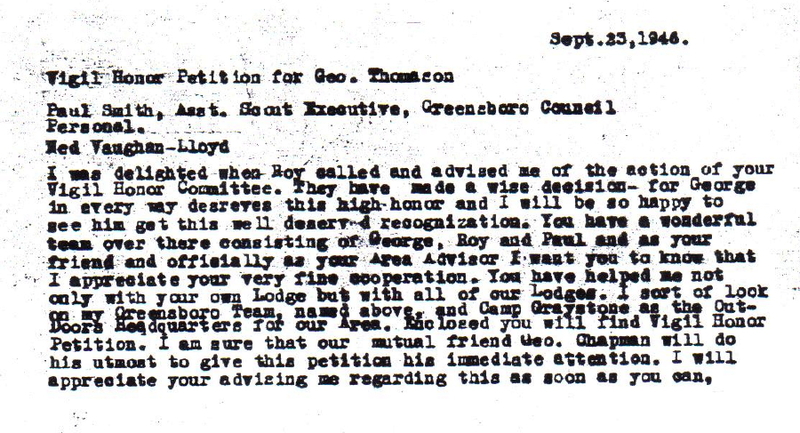 Thomason took his ordeal in late 1937 at Camp Graystone in Greensboro. Scouters from the Winston-Salem area were also inducted. Beyond summer camp, the first lodge meeting was held during a council wide campout the Friday and Saturday after Thanksgiving in Beaufort County at Camp Leach and Camp Cooper. Charter members of the new lodge held a reunion in part to plan in detail a formal lodge meeting planned for Greenville at the end of December. 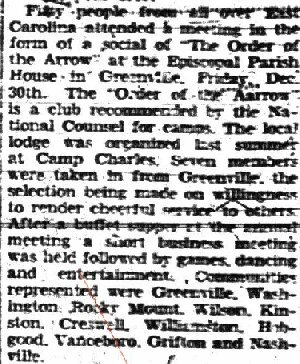 Friday, December 30th, 1938, the lodge held a formal meeting, "in the form of a social," at the Episcopal Parish House in Greenville. Fifty charter members were present representing the host town, Washington, Rocky Mount, Wilson, Kinston, Creswell, Williamston, Hobgood, Vanceboro, Grifton, and Nashville. Greenville had seven inductees. Rocky Mount's Troop 11 noted in the Evening Telegram, that "All nine Order of the Arrow inductees from the troop attended the banquet in Greenville." It is unclear if there were any chiefs or youth officers during the first years of existence. 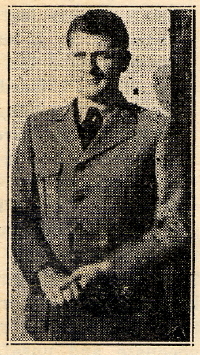 However, it has been discovered that J. Q. Patrick was the secretary in 1939 at age 36. Another possible officer was L.T. Gray from Washington. Gray was from a strong troop and became a personal friend of Thomason. 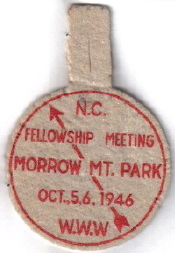 He served on Thomason's Camp Cabarrus staff for the Central North Carolina Council in 1940. One of the reasons there is speculation Gray was an officer is due to the photograph of Gray wearing an Indian war bonnet, unusual for that era. Gray was interviewed in 1995, however, due to a sixty year gap he was unable to recollect what his role was as a charter member. Erwin Alford from Tarboro, according to newspaper sources, talked to troops about the history of the Order. For the most part during the first years of existence, the Order was more of an honor to the inductees rather than a stable organization with projects throughout the year. Also, this was due to the vast territory the council covered. The lodge continued to induct members. Longtime Scouter Bob Peters, from Tarboro, was inducted into the lodge as a youth that summer. Mr. Peters remembers receiving the neckerchief below as a token upon induction. This is the first known item of substational evidence from this era. Scout Executive Sigwald made a note in the council newsletter to contact the council office if any Scouts did not receive their sashes from summer camp. 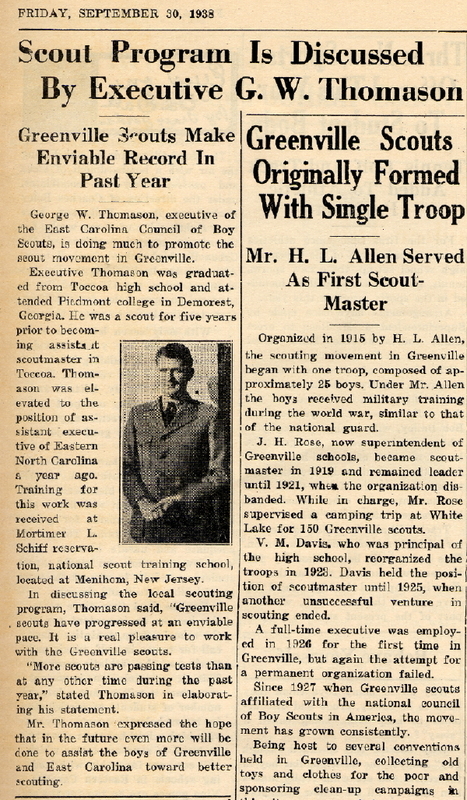 George Thomason departed the council as an Assistant Scout Excutive in March 1940, to become the first Scout Executive for the Central North Carolina Council then based in Concord. He was instrumental starting a second lodge, chartered August 12th, 1940. The lodge was named Iti Bapishe Iti Hollo interpreted as "Brotherly Love." Because Thomason exits participation in Croatan's history, his contributions to the Order in North Carolina should be noted. Following four years in Concord, he became the Scout Executive of the Greensboro Council. He served from May 1st, 1944 until November 15th, 1948. He helped organize the first two state meetings held in 1945 and 1946. As program chairman in 1946, Thomason received the Vigil Honor. He was the first recipient in Tali Taktaki and one of the first in the state. Thomason later served the profession in Atlanta, Charlotte, the Region Six office, and the National Council in the Public Relations Department. He passed away in Eastern North Carolina in 1992. 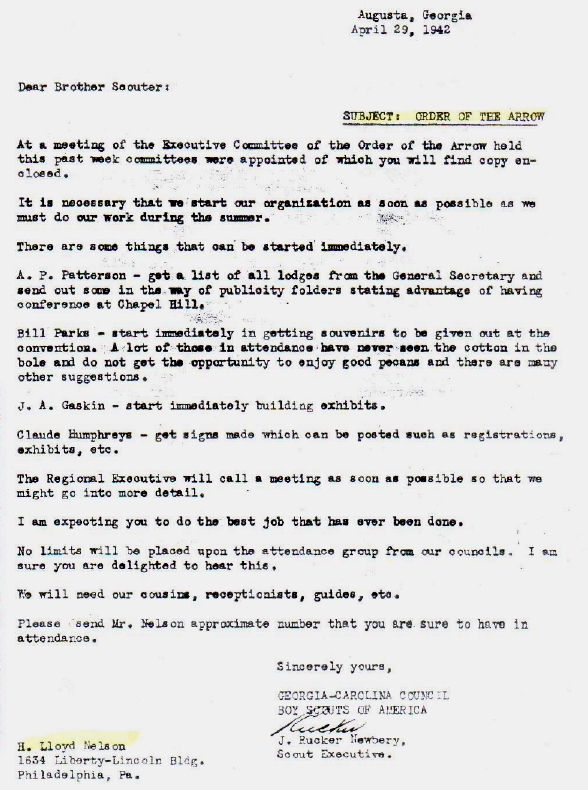 The East Carolina Council board members were selected Tuesday, January 17th, 1939 in Kinston, just prior to the banquet. 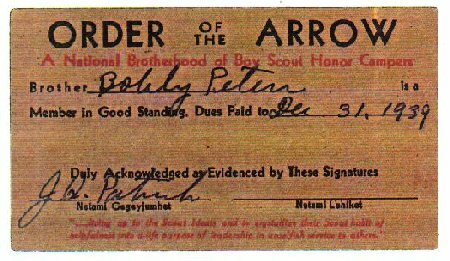 Attendees had a treat that night as they listened to one of Scouting's great orators, E. Urner Goodman, then National Director of Program for the BSA. 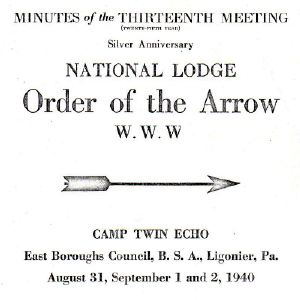 The National Lodge of the Order of the Arrow celebrated it's twenty-fifth anniversary with a gathering at Camp Twin Echo in Ligioner, Pennsylvania, between August 31st and September 2nd, 1940. One Croatan lodge member attended. However, there is no record who. Perhaps Charles McConnell who was the lay adviser? 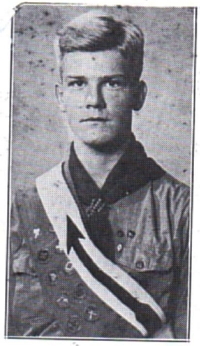 Maybe Scout Executive Sigwald, or his successor in late 1940, J.A. Gaskins? Whoever the first participant was, he attended the meeting with fourteen brothers from Greensboro, five from Winston-Salem, and eleven from Reidsville. There was a national attendance of 615 arrowmen representing sixty four lodges. North Carolina lodges at this time were assigned Area H. The national meetings evolved into the contemporary National Coference (NOAC). The first National Distinguished Awards (DSA) were presented at this gathering. 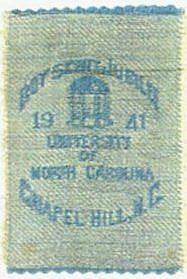 The final state wide camporee was held again in Chapel Hill, September 18th-21st, 1941. 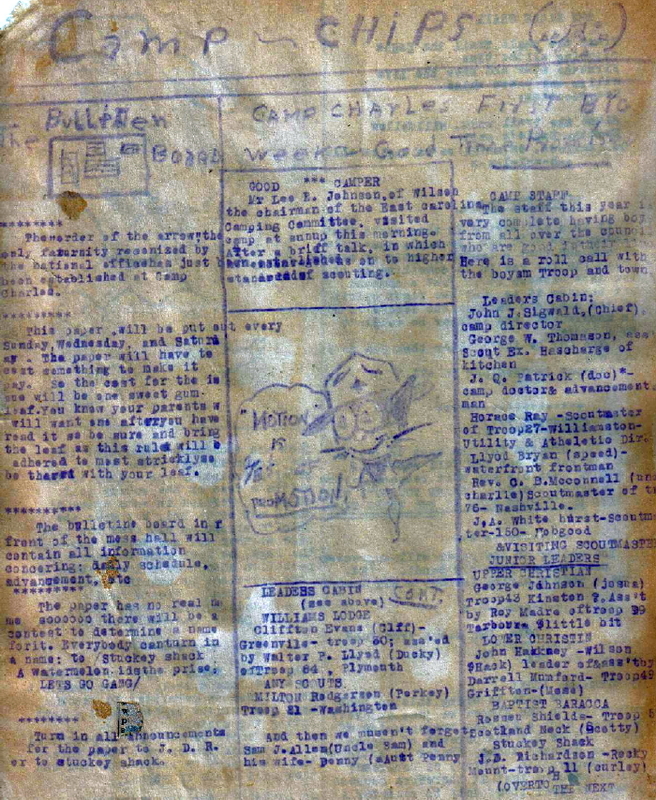 According to a Region Six History written by Tali Tak Taki in 1966, a fellowship meeting was held for OA members at the jubilee. National Chief George Monzealous and his successor H. Lloyd Nelson participated. Both men assisted performing the Brotherhood Honor, one of the first presentations in Region Six. 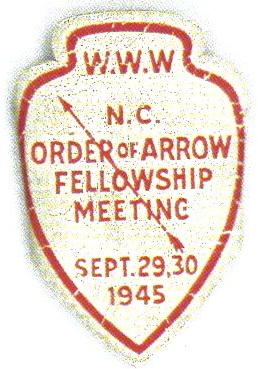 The National OA Committee met in Chapel Hill to plan the 1942 national meeting, which was to be the first held in the South. However, due to World War II the meeting was put on hold. After the war, dormitory space was too crowded so the site was moved to Chanute Field, Illinois in 1946. State leaders for the Order of the Arrow were dilligently working to try to secure a national meeting in the South. A meeting of state leaders in April convened with the goal to demonstrate to the national OA committee of the era, that the Order in North Carolina was active and would be prepared to host a national meeting. Most of the OA leaders at this time were professional Scouters. The East Carolina Council Scout Executive , J.A. Gaskins was responsible for the exhibits. The second world war was entering the early stage and unknown at the time of the meeting what the future was for the United States. However, by the early winter of 1943, the national committee decided to postpone any commitment to the next national meeting until the war concluded. The area was changed to Area I in 1942. During my research, which started in 1987, I discovered several photographs. 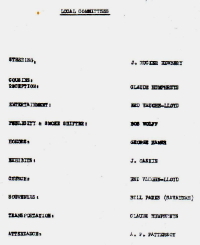 Below are picutres of members inducted between 1938 and 1942.